Traffic relief. More vibrant communities. Transit-oriented development (TOD) and affordable housing. The Ige administration is tackling these issues and getting people involved at a grassroots planning level. 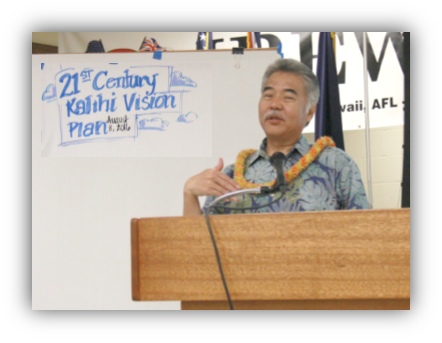 In this issue, Governor Ige talks about transportation challenges, future funding and their connection to community planning. Gov. Ige at the launch of the Kalihi 21st Century initiative. Q. Why did you launch the Kalihi 21st Century initiative? A. The Kalihi 21st Century vision team on O‘ahu was created because of the opportunity for transit-oriented development and the fact that there would be a station right at the site of the O‘ahu Community Correctional Center (OCCC). The jail is overcrowded and its design makes it difficult and expensive for us to operate. This is an opportunity to envision the Kalihi area in a new way. We’ve talked a lot about Kaka‘ako and how so much of the development was focused on luxury condominiums. Kalihi 21st Century is our opportunity to reinvest in our community, to look at state assets along the rail line and provide more community benefits and housing for our residents. Q. Why is it important to involve residents at the start of the planning process? HDOT crews handle tree trimming on Likelike Highway. Q. 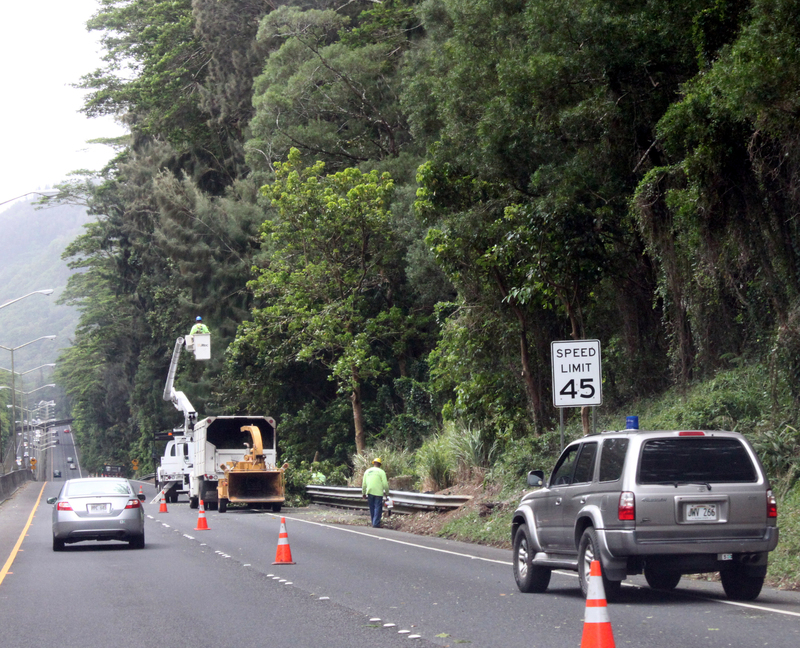 What do you want people to know about the need to replenish the state’s highway fund? A. Many people don’t know that, over the years, the state Department of Transportation’s highway division (HDOT) has been funded locally only through the gas tax and user fees, not General Fund tax dollars. The fees cover salaries, highway maintenance, emergency repairs to roads and bridges, capacity projects, and matching monies for major federal highway grants. These revenues are going down as people drive less or use electric cars while the cost of building and maintaining roads keeps going up. With all these needs, we don’t have enough funds to expand roadways. That’s why we’re focusing on maintenance and more economical ways we can relieve traffic congestion through restriping, contraflow, and using shoulder lanes during peak hours. Q. When we have federal money in the “pipeline,” can we shift some of those funds to cover other costs?